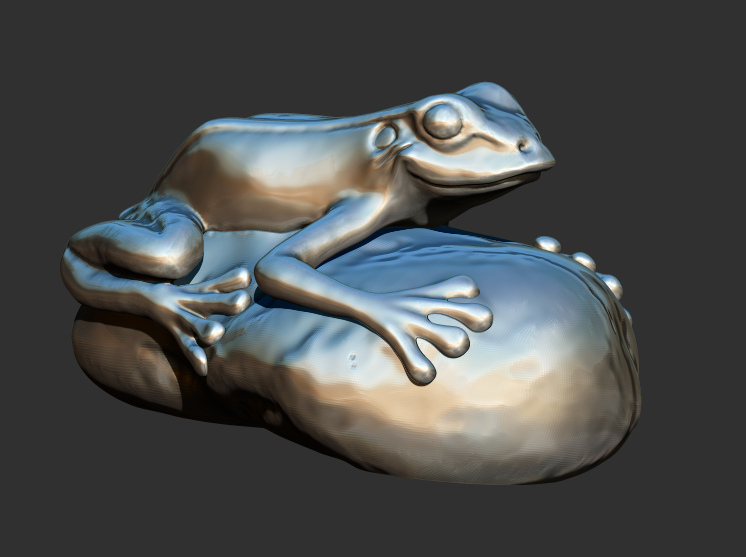 3D Scanning Case Study: 3D scan a frog sculpture and refine the 3D file ready for 3D printing. 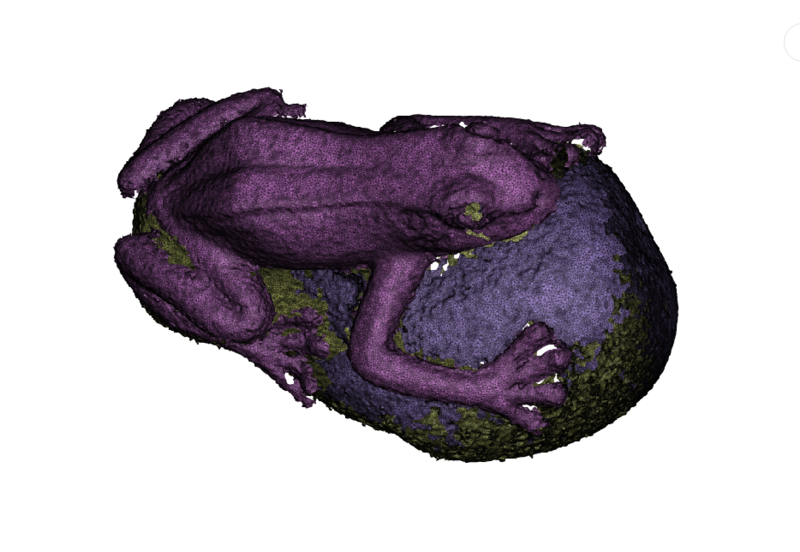 The small frog was 3D scanned on the turntable, with a few 3D scanning targets (little round dots) added - they help the 3D scanner track the object. The brief was to output a tidy model, prepped for 3D printing. 3D scanned at our London HQ. The exterior 3D scanned pretty well considering the small size. 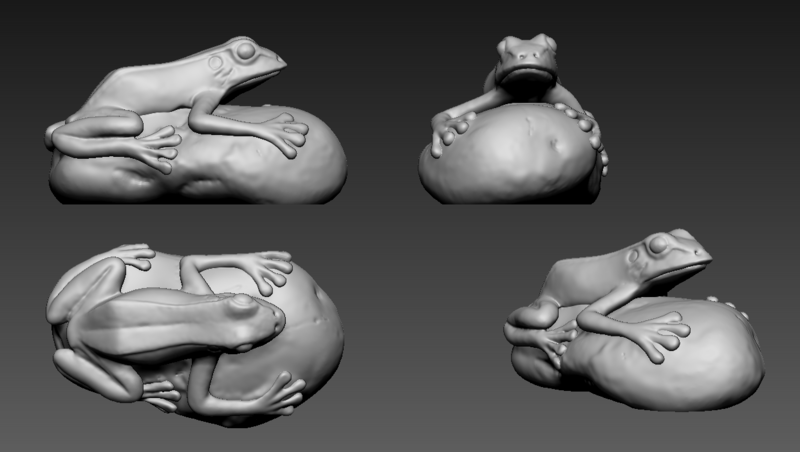 It was then exported to ZBrush to be cleaned up then improved for 3D printing. 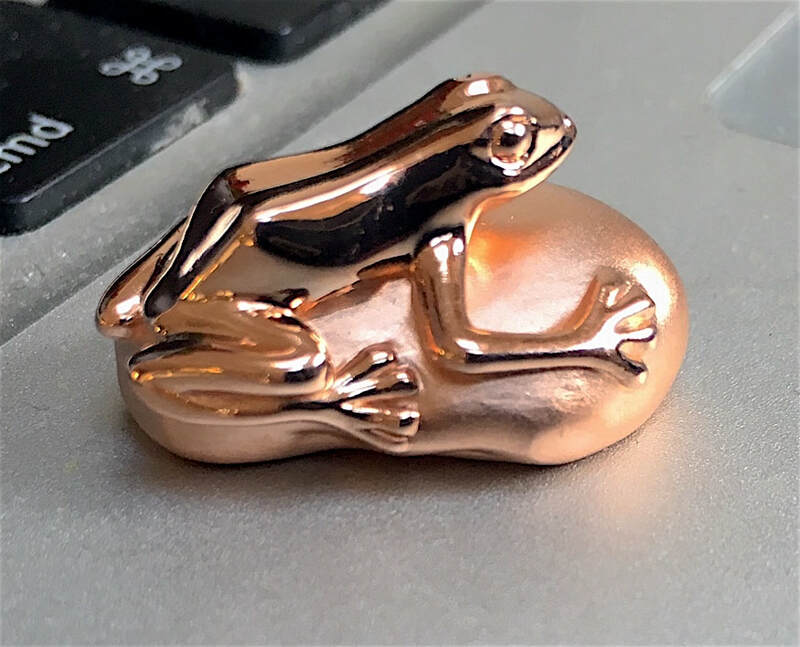 It was important for the customer to use the little frog sculpture as the basis of the design - it gave them something tangible as a starting point, so the design process meant only small tweaks to refine the original rather than starting from a sketch or mood board. It is possible to zoom in and create very clean edges and shapes in the 3D software which is a huge benefit with small objects. Alongside this it was necessary to keep some of the spirit and feel of the original sculpture by keeping the slight irregularities in the surface. We added a little smile to the finished 3D file and rendered in a simple metallic material to give the customer an idea of how it may look.